The RAWdio boys need to be in excellent condition to deliver a top notch podcast. They call on the help of StrongFirst certified kettlebell trainer, Matt Powell, to swing them into shape! 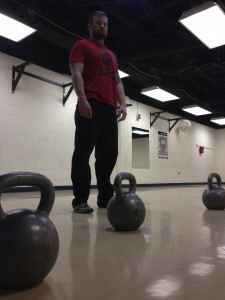 Listen along and learn as Powell teaches Brewski the basics of kettlebell. Matt Powell’s passion for the art of kettlebell training is contagious and inspiring. Just ask Scotty2Hotty or read his blog, he has embraced being a Giryra of kettlebell and has shredded the pounds to prove it.